T shirt with printed motive, 100% cotton. Limited edition! 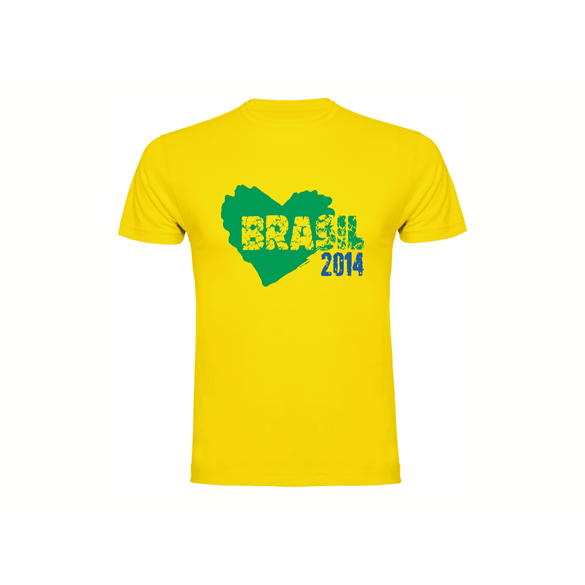 World Cup Football Championship in Brazil T-shirts. Fresh design, high-quality T-shirts and limited edition are their advantages. We print on T-shirts of the highest quality, with long lasting colours. Best prices for the best quality. Easy make your own unique t-shirt or pullover. GiftShirts.eu - world of printed T shirts, gifts and more. Huge collection of printed T shirts, hoodies, pullovers, aprons, bags and more. Make your own T-shirt. Our gifts have a soul!. For bigger quantities of products with printing or embroidering check our website HABECO promotional gifts. Subscribe to our email newsletter and be informed about promotions and new designs in our product portfolio. We know you will love our clothes. So we give you 10 % discount on first purchase. Thank you. Your coupon code Will be send to your mailbox.